and games played with cousins just before lights out. 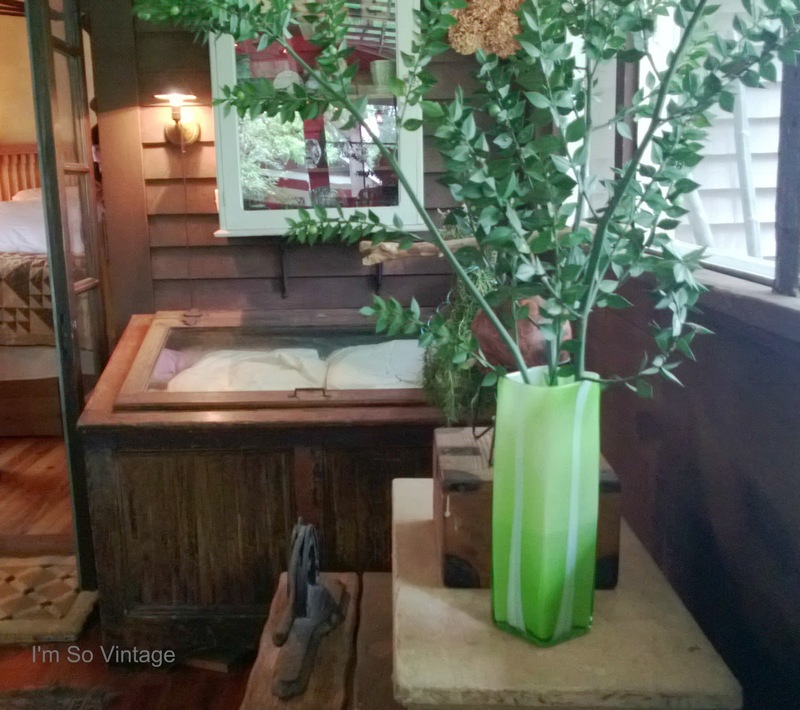 I took the above photos of an amazing sleeping porch when I toured homes at the Grant Park home and garden tour in Atlanta. It's vintage goodness made my heart sing. 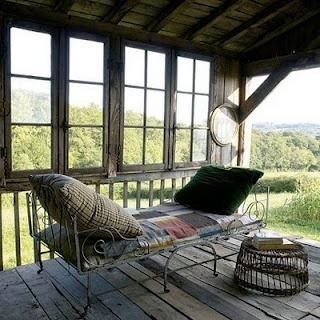 These are some wonderful sleeping porches I found online. 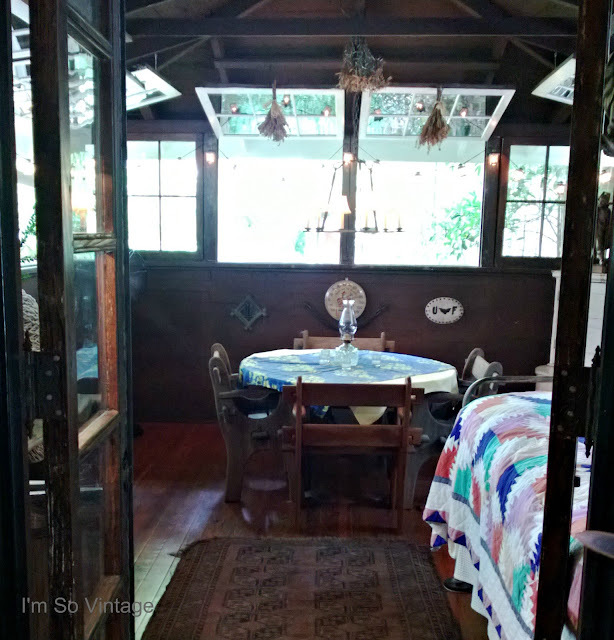 Do you dream of a sleeping porch like I do? If so, follow my new board sleeping porches on Pinterest. Looove them ALL, specially the second to last one!!! Ahhhh. A sleeping porch. Lazy days of summer. 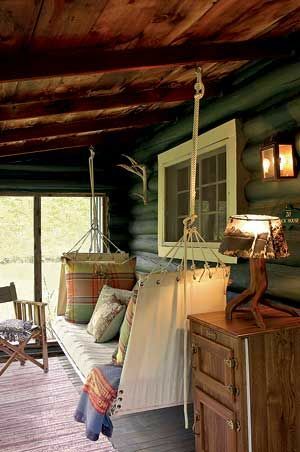 I would LOVE to have a sleeping porch! Love that first one you showed. I've always wanted a sleeping porch. There is a sun room in my new house. It won't get much refreshing breeze but I think I will put a bed in there anyway. I love the beautiful quilts! 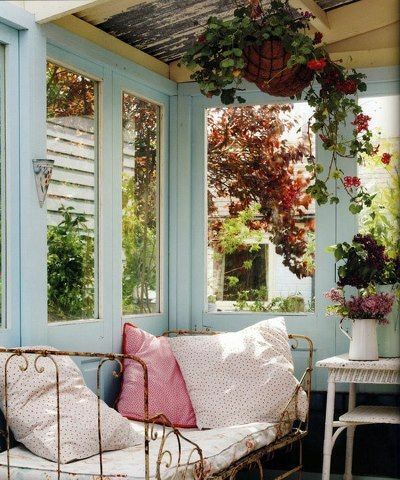 My dream is to have a sleeping porch one day! I would love to have one here at my old farmhouse. 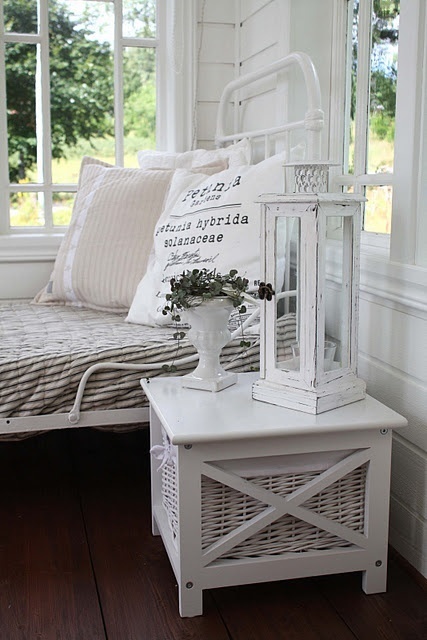 Sleeping porches are so inviting. I'm not sure how practical they are in my neck of the woods, as it gets so hot and humid we'd have to install A/C on the porch in order to get a good night's sleep, but it would be lovely for the cool days of fall. These are so lovely. I didn't grow up around sleeping porches but I find them so beautiful and peaceful. I love these and think that must have been a great thing to have grown up with!!! Wonderful captures, Laura . . . the sandman would be pleased. I would LOVE a sleeping porch. OMG!! Oh how I love your blog. Just finding you from The Essence of Home blog. I do love a porch, any porch. I wish I had one. And a cozy little place to swing or a swinging mattress would be fab! Hope you'll visit White Lace and Promises and follow me as I am your newest follower. 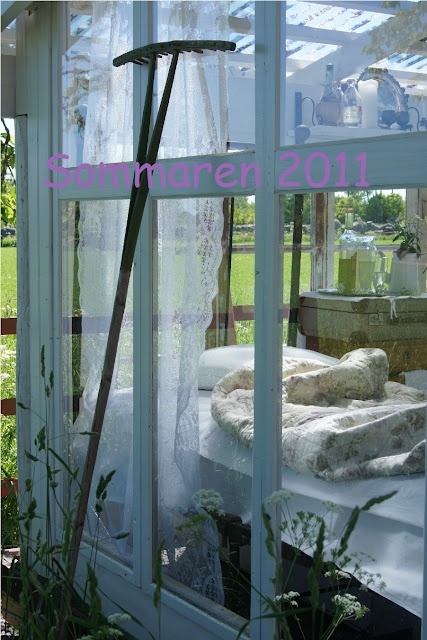 Your title - 'The Sleeping Porch' caught my eye. Wonderful inspiration here and I think somebody needs to write a sweet book titled The Sleeping Porch. I love sleeping porches. I used to live in a neighborhood in San Diego that was full of Craftsman style homes. Many of them were designed with sleeping porches. 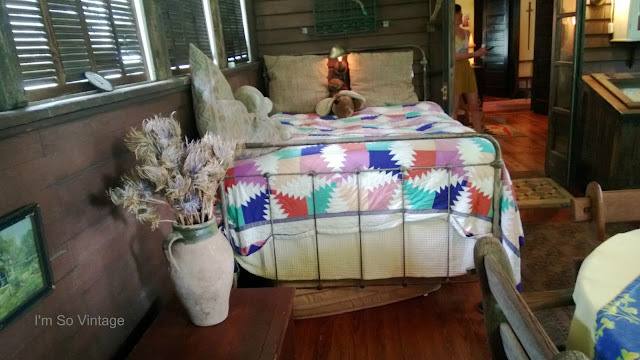 In fact, our rental home had a sleeping porch, but it had been changed to a bedroom years before. I wish it had still been a sleeping porch! I love sleeping porches!!! This is a lovely post, Laura. So lovely! If we open our bedroom window it's like a sleeping porch. It is so quiet where I live! The air so fresh. I know a family in my neighbourhood who has a sleeping porch. They always fight who's the lucky one allowed to sleep outside. Under a mosquito net of course. Love these! Thank you for joining Home Sweet Home.